What's NASA got up its sleeve? Editor's Note: NASA announced that the Curiosity rover uncovered tantalizing new evidence of organic molecules on the red planet. Read the full story about Curiosity's new findings. NASA has called a press conference to discuss new findings made by its Mars rover Curiosity, which has been exploring the Red Planet for six years. Just what has Curiosity discovered? The space agency is offering scant details in advance of the event, which is scheduled to begin tomorrow (June 7) at 2 p.m. EDT, saying only that it has new "science results" to discuss. The media and the public alike are invited to join the discussion via social media. If you'd like to join in, send questions to the participants using the hashtag #askNASA no later than 1 p.m. EDT on June 7. The event will be live-streamed here as well as on NASA's Facebook page and other social media platforms. Participants in the conference include Paul Mahaffy, director of the Solar System Exploration Division at NASA's Goddard Space Flight Center in Greenbelt, Maryland; Jen Eigenbrode, a research scientist at Goddard; Chris Webster, a senior research fellow at NASA's Jet Propulsion Laboratory (JPL) in Pasadena, California; and Ashwin Vasavada, Mars Science Laboratory project scientist at JPL. Curiosity landed on Mars on Aug. 6, 2012 with a mission to determine whether the Red Planet ever harbored life or had conditions suitable for life. 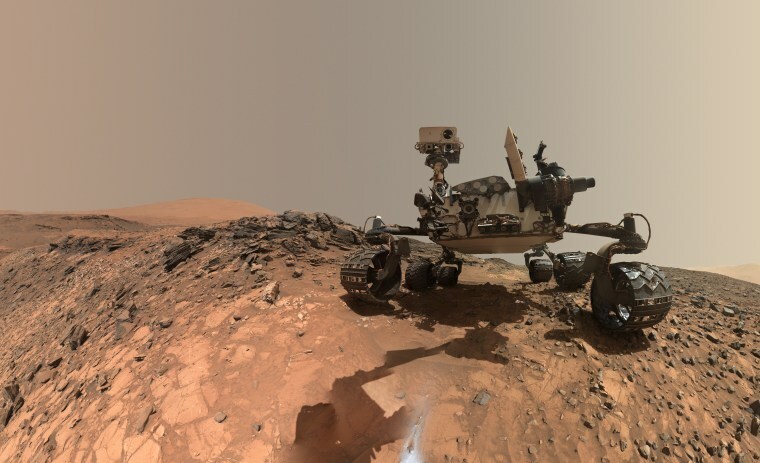 The car-sized rover hasn't found direct evidence of biological activity, but in 2013 it discovered that liquid water and the chemical ingredients for life once existed on Mars.